Among the pontiffs who showed that requisite concern, particularly outstanding is the name of St. Gregory the Great, who made every effort to ensure that the new peoples of Europe received both the Catholic faith and the treasures of worship and culture that had been accumulated by the Romans in preceding centuries. He commanded that the form of the sacred liturgy as celebrated in Rome (concerning both the Sacrifice of Mass and the Divine Office) be conserved. He took great concern to ensure the dissemination of monks and nuns who, following the Rule of St. Benedict, together with the announcement of the Gospel illustrated with their lives the wise provision of their Rule that 'nothing should be placed before the work of God.' In this way the sacred liturgy, celebrated according to the Roman use, enriched not only the faith and piety but also the culture of many peoples. It is known, in fact, that the Latin liturgy of the Church in its various forms, in each century of the Christian era, has been a spur to the spiritual life of many saints, has reinforced many peoples in the virtue of religion and fecundated their piety. Many other Roman pontiffs, in the course of the centuries, showed particular solicitude in ensuring that the sacred liturgy accomplished this task more effectively. Outstanding among them is St. Pius V who, sustained by great pastoral zeal and following the exhortations of the Council of Trent, renewed the entire liturgy of the Church, oversaw the publication of liturgical books amended and 'renewed in accordance with the norms of the Fathers,' and provided them for the use of the Latin Church. "It was towards this same goal that succeeding Roman Pontiffs directed their energies during the subsequent centuries in order to ensure that the rites and liturgical books were brought up to date and when necessary clarified. From the beginning of this century they undertook a more general reform.' (2) Thus our predecessors Clement VIII, Urban VIII, St. Pius X (3), Benedict XV, Pius XII and Blessed John XXIII all played a part. But in some regions, no small numbers of faithful adhered and continue to adhere with great love and affection to the earlier liturgical forms. 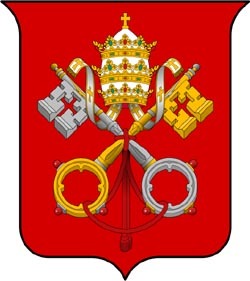 These had so deeply marked their culture and their spirit that in 1984 the Supreme Pontiff John Paul II, moved by a concern for the pastoral care of these faithful, with the special indult 'Quattuor abhinc anno," issued by the Congregation for Divine Worship, granted permission to use the Roman Missal published by Blessed John XXIII in the year 1962. Later, in the year 1988, John Paul II with the Apostolic Letter given as Motu Proprio, 'Ecclesia Dei,' exhorted bishops to make generous use of this power in favor of all the faithful who so desired. Art 1. The Roman Missal promulgated by Paul VI is the ordinary expression of the 'Lex orandi' (Law of prayer) of the Catholic Church of the Latin rite. Nonetheless, the Roman Missal promulgated by St. Pius V and reissued by Bl. John XXIII is to be considered as an extraordinary expression of that same 'Lex orandi,' and must be given due honour for its venerable and ancient usage. These two expressions of the Church's Lex orandi will in no any way lead to a division in the Church's 'Lex credendi' (Law of belief). They are, in fact two usages of the one Roman rite. Art. 2. In Masses celebrated without the people, each Catholic priest of the Latin rite, whether secular or regular, may use the Roman Missal published by Bl. Pope John XXIII in 1962, or the Roman Missal promulgated by Pope Paul VI in 1970, and may do so on any day with the exception of the Easter Triduum. For such celebrations, with either one Missal or the other, the priest has no need for permission from the Apostolic See or from his Ordinary. Art. 4. Celebrations of Mass as mentioned above in art. 2 may - observing all the norms of law - also be attended by faithful who, of their own free will, ask to be admitted. Art. 5. § 1 In parishes, where there is a stable group of faithful who adhere to the earlier liturgical tradition, the pastor should willingly accept their requests to celebrate the Mass according to the rite of the Roman Missal published in 1962, and ensure that the welfare of these faithful harmonises with the ordinary pastoral care of the parish, under the guidance of the bishop in accordance with canon 392, avoiding discord and favouring the unity of the whole Church. § 2 Celebration in accordance with the Missal of Bl. John XXIII may take place on working days; while on Sundays and feast days one such celebration may also be held. § 3 For faithful and priests who request it, the pastor should also allow celebrations in this extraordinary form for special circumstances such as marriages, funerals or occasional celebrations, e.g. pilgrimages. § 4 Priests who use the Missal of Bl. John XXIII must be qualified to do so and not juridically impeded. § 5 In churches that are not parish or conventual churches, it is the duty of the Rector of the church to grant the above permission. Art. 6. In Masses celebrated in the presence of the people in accordance with the Missal of Bl. John XXIII, the readings may be given in the vernacular, using editions recognised by the Apostolic See. Art. 7. If a group of lay faithful, as mentioned in art. 5 õ 1, has not obtained satisfaction to their requests from the pastor, they should inform the diocesan bishop. The bishop is strongly requested to satisfy their wishes. If he cannot arrange for such celebration to take place, the matter should be referred to the Pontifical Commission "Ecclesia Dei". Art. 8. A bishop who, desirous of satisfying such requests, but who for various reasons is unable to do so, may refer the problem to the Commission "Ecclesia Dei" to obtain counsel and assistance. Art. 9. § 1 The pastor, having attentively examined all aspects, may also grant permission to use the earlier ritual for the administration of the Sacraments of Baptism, Marriage, Penance, and the Anointing of the Sick, if the good of souls would seem to require it. § 2 Ordinaries are given the right to celebrate the Sacrament of Confirmation using the earlier Roman Pontifical, if the good of souls would seem to require it. § 3 Clerics ordained "in sacris constitutis" may use the Roman Breviary promulgated by Bl. John XXIII in 1962. Art. 10. The ordinary of a particular place, if he feels it appropriate, may erect a personal parish in accordance with can. 518 for celebrations following the ancient form of the Roman rite, or appoint a chaplain, while observing all the norms of law. Art. 11. The Pontifical Commission "Ecclesia Dei", erected by John Paul II in 1988 (5), continues to exercise its function. Said Commission will have the form, duties and norms that the Roman Pontiff wishes to assign it. We order that everything We have established with these Apostolic Letters issued as Motu Proprio be considered as "established and decreed", and to be observed from 14 September of this year, Feast of the Exaltation of the Cross, whatever there may be to the contrary. From Rome, at St. Peter's, 7 July 2007, third year of Our Pontificate. (1) General Instruction of the Roman Missal, 3rd ed., 2002, no. 397. (2) John Paul II, Apostolic Letter "Vicesimus quintus annus," 4 December 1988, 3: AAS 81 (1989), 899. (4) St. Pius X, Apostolic Letter Motu propio data, "Abhinc duos annos," 23 October 1913: AAS 5 (1913), 449-450; cf John Paul II, Apostolic Letter "Vicesimus quintus annus," no. 3: AAS 81 (1989), 899. (5) Cf John Paul II, Apostolic Letter Motu proprio data "Ecclesia Dei," 2 July 1988, 6: AAS 80 (1988), 1498.